In the old days (just a few years ago, actually), a writer strived to make it to a major New York publisher. It was (and is) a struggle. None of the publishers would consider an author who did not come through a respected agent. Unfortunately, most agents were (and are) inundated with proposals and manuscripts and rarely have the time to read more than a few pages from a new author. Most authors have drawers full of rejection slips. My friend, Steve Berry, now a best seller, calls himself the king of rejections, having written either six or seven novels and having them rejected eighty or so times before he finally sold one. Most other authors will tell similar stories. I wrote my first novel, So Help Me God, and knew that it would become an instant best-seller. Wrong! It was rejected by every agent and publisher who received it. Frustrated, I even paid a free-lance editor $1500 to give me some help. She told me it was so bad that she could not even offer suggestions (She did not offer to refund my money). Undeterred, my wife and I went the print-on-demand route and self-published in hard cover. We promoted the book, including booths at Book Expo and the ALA annual meeting. Finally, Ken Atchity, a great literary manager, discovered me and liked the novel. He sold it to Tor/Forge who published it in paperback. Shortly thereafter it was available everywhere books were sold. He sold a proposal for my next novel, The Trial, to St. Martin’s Press for a modest advance, and there I was, published by a major New York house. Then, I learned of the problems rampant in the industry. 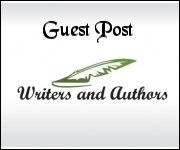 Publishers do not promote new authors. St. Martin’s’ promotion consisted of sending the book to a few reviewers, and that was it. 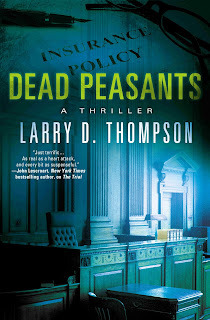 The same thing occurred with Dead Peasants, my current legal thriller that has been praised by nearly every reader (check out Amazon reviews). Only, once again St. Martin’s promotion was non-existent. That brings us to the dilemma. Stick with a major publisher or do what is now called direct publishing with Amazon. It’s a dilemma I face as I polish the first draft of my next novel. I worked hard to get to a major publisher, but without promotion by the publisher, I doubt if I will get anything beyond my modest advance in return. I don’t really blame St. Martin’s. All publishers are financially strapped. They are guaranteed to make money with their big name authors. On the other hand, it’s a crap shoot with first time authors or those of us who are considered mid-list. So, there is no real reason to promote a well-known author (Grisham is going to sell a million or more books just by putting his name on the cover). As to the rest of us, they will publish and hope that the author will somehow break through on his own. That leads us back to direct publishing and its advantages. With Amazon, an author can get his or her novel available in two or three months for two or three thousand dollars while a major publisher will take over a year from receipt of the manuscript. More than fifty percent of books are now sold as e-books. In my case, for every hard cover I sell on Amazon, I sell about four e-books. With Amazon, the author payment is quite good, around sixty percent of the purchase price. So for a book sold for $5.99, the author is making about four bucks. Then, publishers don’t want to have an author write more than one book a year. There’s no such restriction on Amazon. The author still has to promote the book on Amazon, but that has proven to be true with St. Martin’s, at least with me. On the other hand, it’s good for the ego to be published by a major house. And the New York publishers can get books into bookstores. Unfortunately, my books have ended up on the back shelves, hard to find unless someone reads some of my promotion materials. So, I’m wrestling with this dilemma now. I don’t know which way I will go. It will probably largely depend on what kind of advance St. Martin’s offers. And one last comment. I think I can say that for first time authors, the way to go is direct publishing. I really enjoyed reading this post. Found it quite interesting. Thank you for sharing.